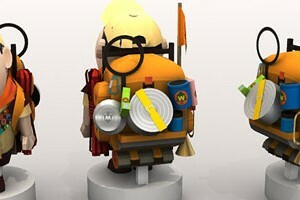 It's been quite sometime since the last Disney papercraft Russell was release. This time I made Boo papercraft, a 2 years old girl from Monster Inc 3D animation produced by Disney and PIXAR. The papercraft kit contains 3 sheet of templates and will stand about 18 cm from top to base. Almost 2 weeks since the last time I update my site, I got cold and headache so I have to stop staring my computer monitor for a while. I have a new papercraft for you, it is Russell model from The Disney UP movie. I like him very much, cute and loveable. This papercraft will stand almost 16 cm without its display stage. The template contains 7 pages of A4 / letter compatible. I have to simplified most of the small parts but still in paper-replika.com detail level. 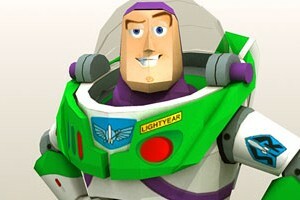 This is a third papercraft with the same scale after Woody and Buzz papercraft from toy story movies. 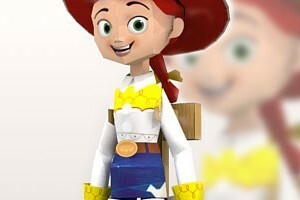 Jessie the yodeling cowgirl in the movie is one of rare toys of the roundup gang. I still use flat joints for Jessie just like Woody papercraft has and also it has the same display stand with a little modification. 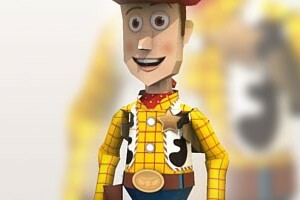 By releasing this Sheriff Woody papercraft I also starting a new series which is Toy Story papercraft series. The first set is planned for The Roundup Gang first. I love toy story, there was time when I lend it from DVD rental over and over again, I never got bored watching this 3D animated movie. Woody papercraft comes with articulated joints, flat joints.